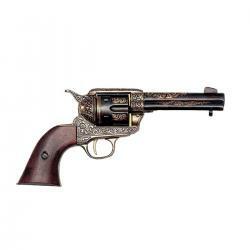 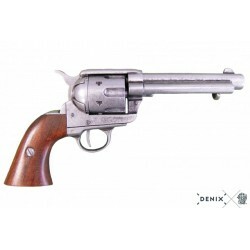 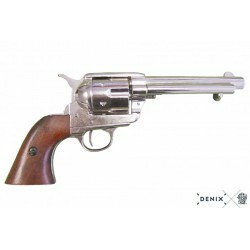 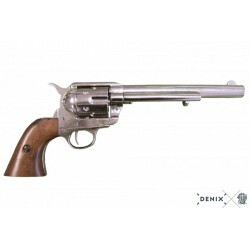 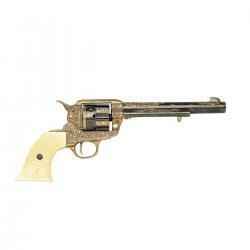 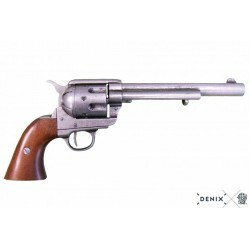 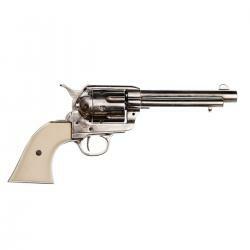 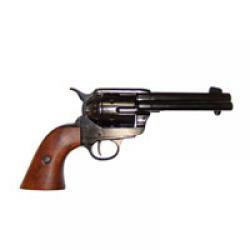 The Single-Action Army Revolver was produced in several forms and many calibers from 1872 to 1940, with production totalling about 350,000 pieces. 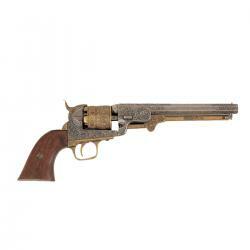 As its introduction coincided with the settlement of the "Wild" West, the names "Six-Shooter" were popularized. 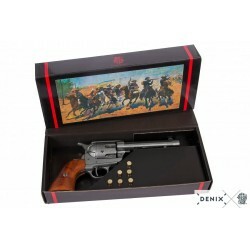 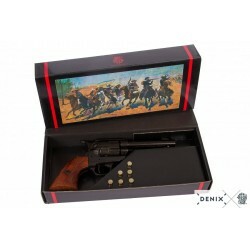 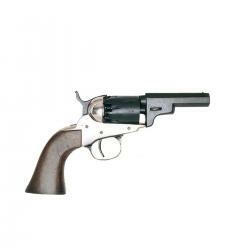 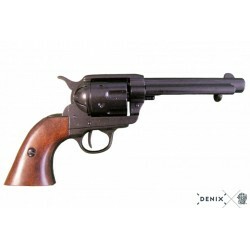 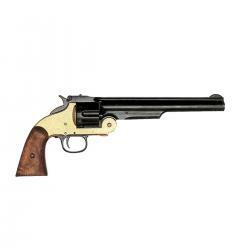 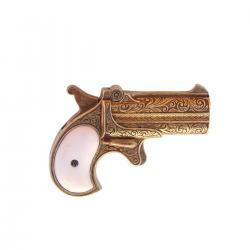 Used by legends like Buffalo Bill Cody, Wild Bill Hickock, Pat Garret and Bat Masterson it was also the weapon of choice for settlers in the West during the late 19th century. 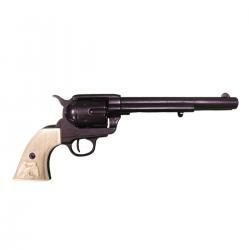 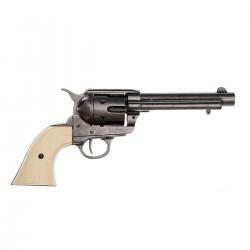 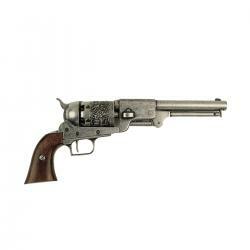 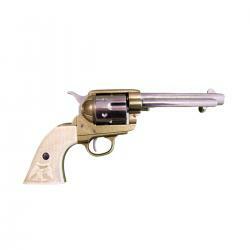 The Cavalry Model's relatively long barrel provided excellent accuracy in capable hands. 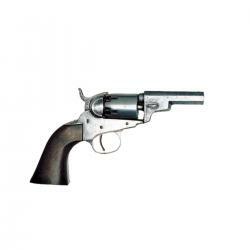 This non-firing version has a functional lock mechanism, with a revolving cylinder and working ejector system.